I believe psychotherapy is a journey of self-discovery, problem solving and emotional recovery. I help my clients to grow and heal from issues with depression, anxiety, loss, relationship issues and family adjustments. I support my clients with improving social and emotionl functioning and increasing interpersonal skills while developing positive and solution-focused goals for creating a more fullfilling and healthy lifestyle. If you are exploring ways to achieve a more balanced way of managing the everyday stressors and challenges in life, the services I provide may benefit you. Markelle is currently licensed in Maryland as a Licensed Clinical Professional Counselor (LCPC) ; licensed in Washington, DC as a Licensed Professional Counselor (LPC) and a Nationally Certified Counselor (NCC) with the National Board for Certified Counselors (NBCC). 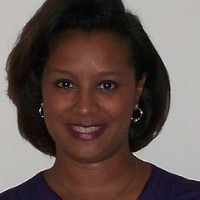 Markelle holds a Doctorate Degree in Counseling Psychology from Argosy University and completed her Master's Degree in School Psychology at Towson University. Markelle also received a Graduate Family Counseling Certificate from Bowie State University and attended Howard University for her Bachelor's Degree. ISSUES: Coping Skills; Family Conflict; Anger Management; Self-Esteem; Relationship Issues; Codependency; Divorce; Grief and Loss; Academic Issues; Interpersonal Conflict / Social Skills; and Career Development. CLIENT FOCUS: Individual adult clients 18 years and up. Would you like to write a review for Dr. Handy? We'd appreciate if you can spend a couple of minutes to write a short review for Dr. Handy (Ed.D., LPC, LCPC). This review would be shared with Dr. Handy. It may also be posted in our website or in Dr. Handy's profile but it would be anonymous and your identity would be kept completely confidential.